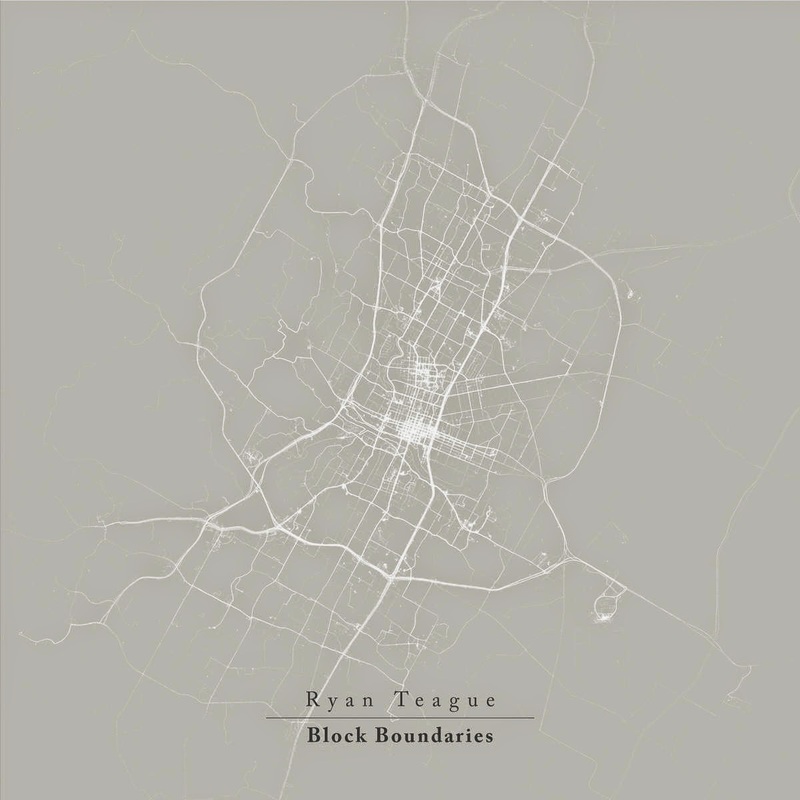 "‘Block Boundaries’ is the new album from minimalist composer Ryan Teague, building on his previous releases for Type, Sonic Pieces, and current label Village Green. 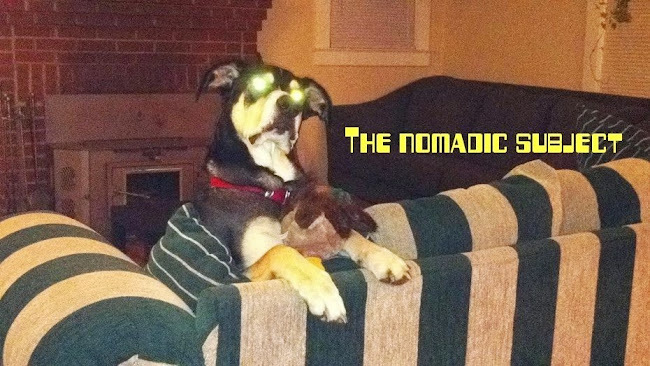 Inspired by the theme of Psychogeography, the record fuses acoustic instrumentation with electronic and processed material, taking the listener on a hallucinogenic Ballardian journey through from the thrumming urban activity of New York, Amsterdam and London. Brooding opener "Site & Situation" sets the tone with hypnotic guitar and mallet chimes, emotive cello swells and surging bass synth, 'Last Known Position' comes on like a lost Tangerine Dream jam session, spiraling arpeggios and oscillating pulses, while 'Liminal Space' introduces driving percussion around mesmeric synth pulses and a shimmering piano progression. Closer 'End Of The Line ' brings the journey to an end in an introspective mood - a wavering synth figure cut against wistful drone washes that fade into the distance. 'Block Boundaries' is a masterful achievement of melody, form and texture that rewards more with every captivated listen and will assuredly secure Ryan Teague's place alongside his acclaimed contemporaries such as Nils Frahm, Jon Hopkins, Emeralds and Hauschka." Yeah, I don't know if you're a fan of J.G. Ballard's work but, for my money, ya just can't beat a "Ballardian" journey through anywhere. Block Boundaries from Leona Kadijević on Vimeo. The music of Psychonaut 4 has just about everything black metal could possibly offer: midtempo rhythms, classic blasts, downtempo shoegaze infusion and tremelo riffs. Graf, the vocalist, even comes equipped with onstage self-mutilation and bloodletting (assuring DSBM authenticity), and has an interesting hybrid of all three waves of black metal lineage. As the band hails from the nation of Georgia, there is even an accordion track steeped in traditional Russian folk music. This is a raw feeling album that has a studio quality. I think it's a nice package. CUT HANDS from URSSS on Vimeo. This lady is blowing my mind lately. 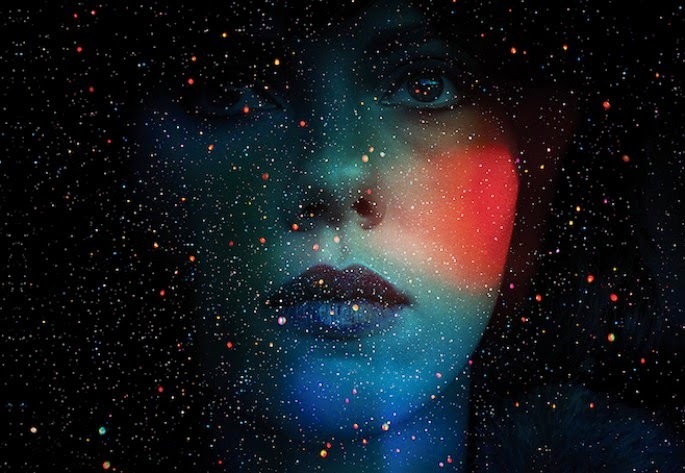 Not only is this the most wonderfully creepy soundtrack I've heard in ages, but her cassette that just came out on Demdike Stare's label is absolutely brilliant. She seems to be blowing up and I wish her all the success. Thank you for reading. I would greatly appreciate any feedback you have to offer.